Yes, we were so excited that we pulled this off this two years ago. Gotta say that it was just as exciting this year. 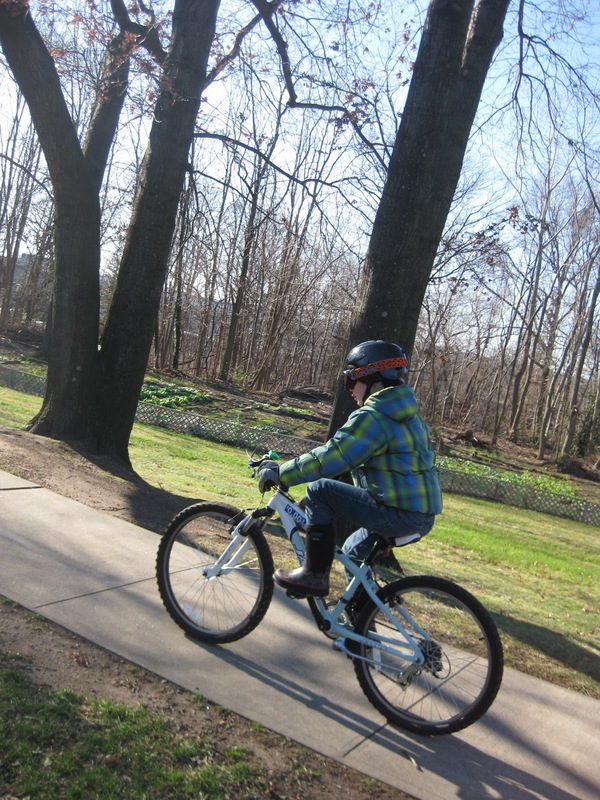 We now live farther away from Edgerton Park so the trip involved a longer bike ride. Lately, on weekends we've been working on the twins riding themselves on the city streets, and they happily took on the challenge to ride across town. 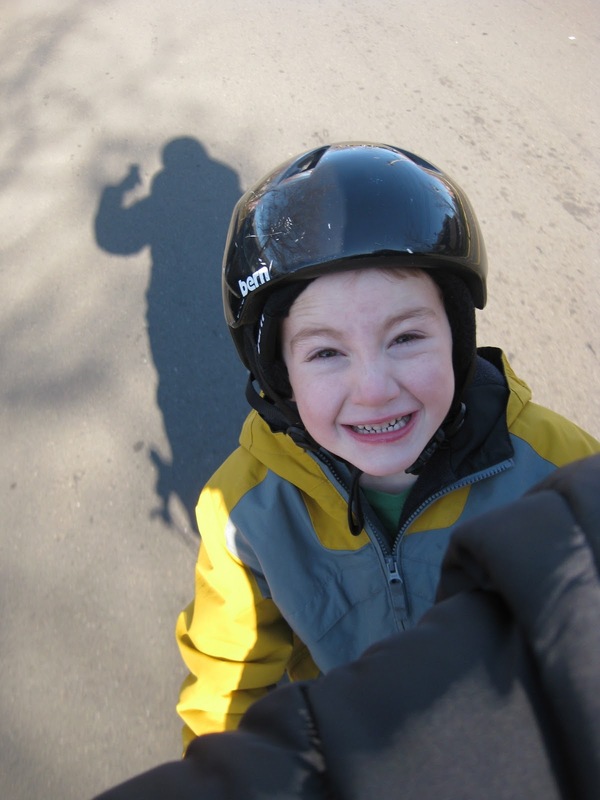 For his part, F was glad to be back in the bakfiets (with a few friends along for the ride). 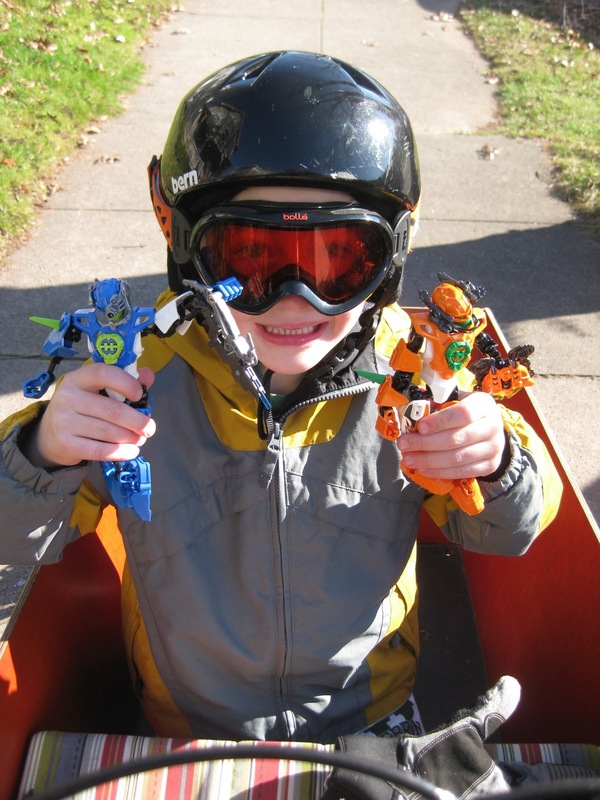 We used a combination of street riding and, at times, had the boys go up on the sidewalk. When we reached the park, we noticed how fee trees were left. Luckily, there was a great one waiting for us. We loaded it on the bakfiets, well prepared this year with bungee cords. Then we headed back home. F and I switched over to the Xtracycle (boy, it's nice to have more than one cargo bike). This is a holiday tradition I hope our fellas will remember in all their years to come. I know I will. Fun! We did the same this weekend! Pulled it in the trailer. By the way, we had our first Kidical Mass today here in Tallahassee - never did get around to emailing you to ask more about your experience. Everything worked out just fine in the end. Many thanks to you and others for the inspiration! Fa-la-la-la-fun! You guys rock. Wish I could see the look on passersby's faces! @Marie-Claire: Congratulations on your Kid Mass success! It is so exciting to witness kid & family biking ever growing. @Andrea: You know you are forever linked to our family biking. yay. I'm so nervous to try this. I think the main reason is that I am NOT the tree getter. I don't like sap so all the the tree hauling would be up to ben and he'd prefer to throw it on the car. :-/. I like hauling wreaths and table top trees. Yes, I was excited by the enthusiasm of those who came out. All so happy that we finally did this and so keen to meet again! We are thinking of going on a holiday lights ride this Friday evening - with a smaller, well lit group. Speaking of talent...I love your t-shirts! I finally ordered some for under our tree this x-mas! Looks like fun! 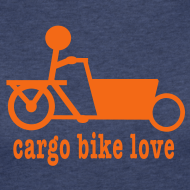 (Yes, I agree, multiple cargo bikes are necessary). So much fun! What a beautiful holiday tradition.